If you travel to Costa Rica or other Central or South American countries, you may find that a rancho is a small house often located on a farm. Here in Costa Rica, a rancho is a structure where you can sit and relax while enjoying the rainforest, the pool or beach or any other scenic view. They are roofed buildings that are open on the sides and they have become a very popular dwelling to use at beach homes, condos and luxury rentals for entertaining with friends or romantic partners. You might also call them gazebos, pavilions or arbor houses and they offer a calming presence to any backyard. Beautiful scenic views are a must! There are many reasons that people enjoy having a rancho built on their own property in Costa Rica and among the top reasons are outstanding panoramic views of the coast, great places to entertain guests or cookout and a great place to lounge by the pool. Many people even opt to have a rancho where they can work. With reliable Wi-Fi access, it’s not difficult to construct a comfortable outdoor space where you can work during the day and relax in the evenings. The best way to build the perfect rancho in Costa Rica is to hire a licensed and insured contractor. You can search for contractors with a quick online search, but here are some tips for hiring the right one. Take time to research the contractors that you are interested in. Avoid hiring the first name on the list until you have time to check several companies out. You need to find out if the companies are licensed and insured. Don’t even consider the contractors who cannot prove they have the proper paperwork. Online reviews are a great way to see whether the contractor has complaints and if so, how they respond to dissatisfied customers. Keep in mind that many of the best companies have complaints. You can tell a lot about how they respond to those complaints. Some contractors may require a deposit to secure their services or to buy the necessary materials, but never pay the full amount for the build in advance. 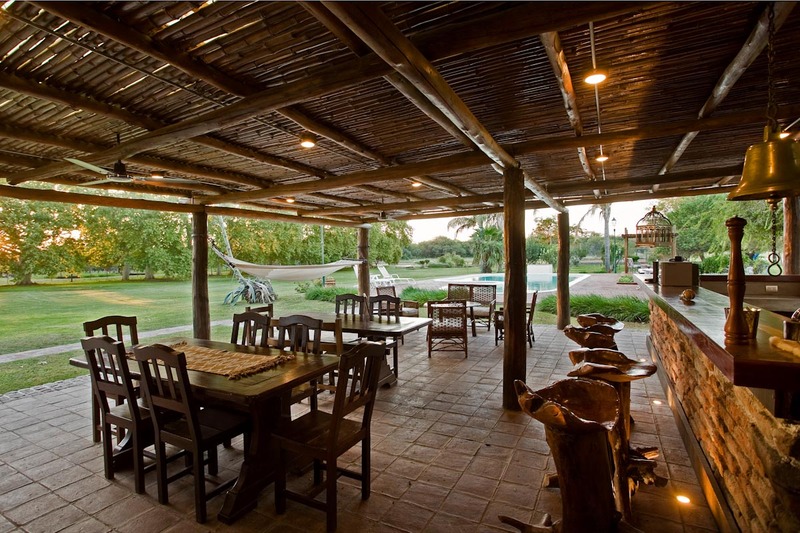 While many ranchos are made from wood with a solid roof and an open, freestanding base, there are other materials that can be used to build durable ranchos. You can use stone, metal, and concrete. To be a true Costa Rican rancho, you should stick to wood like tropical hardwood or pressure treated lumber to maintain the rustic island look of a true rancho. You can purchase kits to build a rancho on your own or you can hire a contractor who knows how to design one for you. Unless you have worked as a building contractor, it may be best to leave the work to the pros, so you can sit back and relax while they handle the tough work at hand. While ranchos are found at some of the popular spas and hotels in Costa Rica, nothing can compare to having one in your own backyard. Life in Costa Rica is a surreal experience and when you have a rancho in your own backyard, life doesn’t get much better. If you have considered building your own rancho in Costa Rica, be sure to take the proper steps to have one built and you’ll soon be on your way to having the best backyard in your neighborhood. For years, cryptocurrencies like Bitcoin, Litecoin, and Ethereum have been making waves in the global economy. Cryptocurrency can now be used to buy everything from a slice of pizza to a luxury home in Costa Rica. International buyers use cryptocurrency to buy property overseas and circumvent currency regulations. As early investors who have profited from cryptocurrency (so-called “Bitcoin millionaires”) look to diversify their holdings into real estate, modern sellers know that they need to keep their options open. In the future, more homes will be bought and sold with cryptocurrency, and both buyers and sellers will have to contend with the implications, including advantages and drawbacks. Diversification strategy: Every smart investor knows not to put their eggs in one basket, and buying real estate is a great way to diversify their holdings. 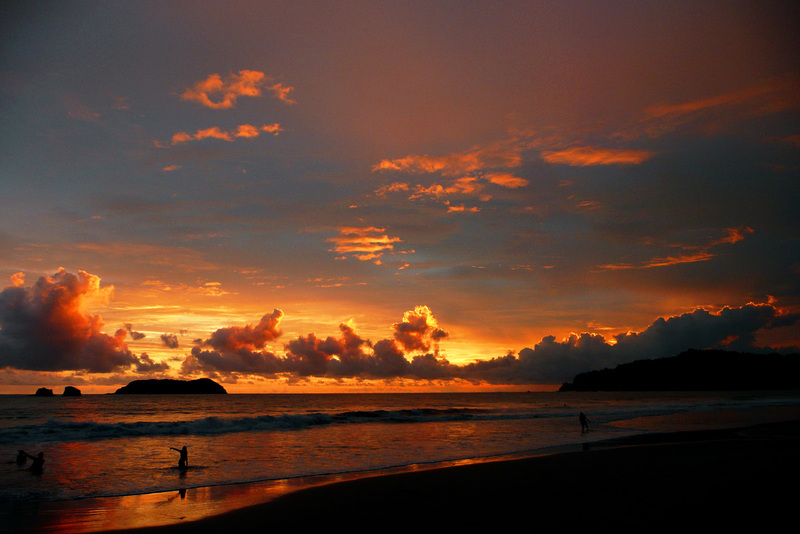 Costa Rica is a beautiful place to invest, live, and retire. Lock in profits: Buyers who have profited from cryptocurrency may wish to lock in those profits through investment in real estate, a relatively safe investment compared to the volatile crypto market. Foreigners can buy a home, apartment, or resort in Costa Rica the same way Costa Ricans can. Limited inventory: It’s still not exactly mainstream to purchase a house in cryptocurrency in Costa Rica, so the number of sellers willing to accept a crypto offer is relatively low. Opportunity cost: While it’s rare for a property to depreciate in value, buyers who trade their crypto for real estate could miss out on an unprecedented appreciation of the coin. 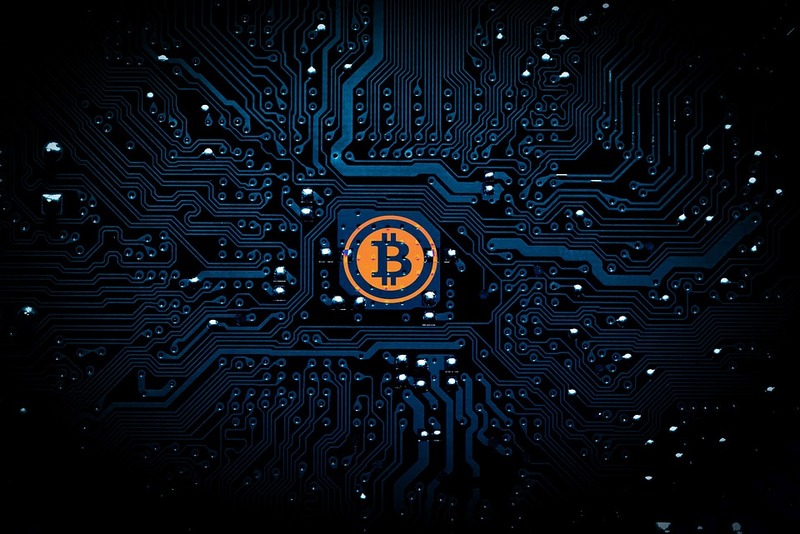 Tax implications: Since cryptocurrency is unregulated, exchanging coins can present a huge headache come tax season, compounded with reporting requirements for foreign assets. In general, trading or selling coins is subject to a capital gains tax. Make sure to consult an experienced CPA who is familiar with cryptocurrency to avoid a visit from the IRS. Future appreciation: It’s not a guarantee, but if the past has taught us anything, it’s that cryptocurrency markets can experience unprecedented growth – appreciating much faster than real property. Sellers with a high-risk tolerance may enjoy the profits from future crypto appreciation. Marketing to a wider audience: Sellers who include “accepting Bitcoin” or another cryptocurrency in their listing will potentially open their sale to more buyers – marketing to a tech-savvy, young, and international audience. The more buyers interested in a piece of real estate, the better. Potential losses – The crypto market is extremely volatile, and selling at the wrong time could limit profits, or even lose you money. Learning curve – Cryptocurrencies must be stored in a “wallet” or virtual exchange. If you don’t already have an account, you’ll have to make one, which may present a challenge for less tech-savvy users. Tax implications. Again, trading cryptos present a complicated tax situation for both the seller and buyer, compounded by international regulations. As the real estate industry continues to adopt technological advancements, cryptocurrency transactions will likely become more common in Costa Rica. Cryptocurrencies are already influencing the way people buy and sell property, with more sellers accepting bitcoin and more buyers ready to cash in. Of course, using crypto as payment comes with advantages and drawbacks, so make sure to do your research before investing. A few years ago, Costa Rica was declared as the country with the best nature in the world. The abundant and exotic flora and fauna found in this amazing country is the main attraction for anyone visiting the country. Costa Rica, also known as the jewel of Central America due to its beauty, opens the doors to tourists all over the world, generating around US $2,600 million per year with tourism services. The biodiversity found in this small country is really varied. Tropical rainforests, mountains, beaches, volcanoes, rivers, waterfalls… are some of the beauties to explore. Due to several private and public initiatives Costa Rica offers protected areas such as National Parks and Refugees for the conservation of its treasure, the flora, and fauna. In these conserved areas animals coexist in the natural habitat, creating a surreal experience. Further in the country, in the tropical rainforests, you will find atypical landscapes. Most of Costa Rican highways are built in the mountains. In High hanging bridges of great length cross the rainforest creating a totally inexplicable experience, making you feel part of the forest. You can also do canopy from tree to tree in a superman style while feeling the cold fresh breeze in your face, looking at the waterfalls and rivers from a different angle. In this trip, you will be able to see monkeys, toucans, sloths, morpho-butterflies and more. Costa Rica has active volcanoes that are open to the public. The blue-greenish crater of the Poas Volcano will dazzle you as well as the volcanic sand near the Irazú volcano. The white sand beaches, the translucent turquoise ocean and the contrast with the green rainforest make of Costa Rica a natural paradise. It is even more overwhelming getting to know the volcanic sand beaches, where the sparkling black sand mixes with an also transparent ocean. These beaches have the same corals, the same contrast with the forest. If you are laying on the beach, sunbathing and having fun, keep your eyes on the horizon… If you are lucky enough you can even see whales from the beach. Animals behave in such a peculiar way in these areas that you can be amazed by the different situations and stories. One of the most acclaimed spectacles that happen during the months of July till October is the turtle “arribada”. Plenty of tourists travel tons of kilometers just to have this experience. It consists of thousands of turtles that gather on the beach in search of dry sand to lay their eggs while others struggle to hatch, it happens massively and simultaneously. This is a great opportunity for the bigger predators in search of food. As it happens in Nancite beach, part of a wild refugee in Santa Rosa, Guanacaste where jaguars wait till the arribadas to hunt the turtles. In this place, animals that are in danger of extinction in other parts, live in a natural habitat and hunt naturally. The balanced ecosystem allows all the animals that coexist to have a good diet. A surreal experience found in Nancite was how two male adult and strong Jaguars are able to share the same prey at the same time. It is known that these animals fight for the food and for the territory, it’s amazing to see how two of the strongest and more competitive animals in the jungle are able to share the food. This is due to the abundant food that the area provides. This is just one example of the magical secrets kept between the beach and the jungle. A country full of nature of all kinds, different habitats that are conserved for the animals and plants to coexist in the most natural way. While visiting Costa Rica you’ll be amused by the different colors that a sunset can show, surprised by the number of animals you’ll see in such a small radius, intrigued of the way that we live within the forest and the beach. Visiting Costa Rica will show you a total surrealistic experience, where the most incredible natural phenomenon happens daily, this is why our country has the privilege of having the most beautiful nature in the world. We all know that Dominical has paradisiac beaches and the best views in the South Pacific, but there’s a not-so-hidden treasure called the Nauyaca Waterfall. This is one of the main attractions here… This activity is also a great way to alternate between the ocean, sand and constant heat by spending an amazing day within the forest and the fresh translucent water that falls from the Barú River. The name of this waterfall makes reference to a venomous snake that inhabits the area and is well known by locals. This well-known waterfall is located only 20 minutes away from Dominical beach, or if you are coming from San José it will take you 3 hours and a half. Known as a natural beauty, this waterfall attracts tourists and locals all year round. Nevertheless, the dry season is the best time to visit, since the hiking trails are less messy rather than during the green season. Come prepared! Bring your snacks and refrigeration for the entire day, sunblock, insect repellent, comfy clothes, a bathing suit, and good sneakers. Once you get to the area, there is a big sign indicating the entrance and the parking space. Here you’ll have to pay a fee to enter and you can either choose to go by yourself, with a guide or booking a tour such as horseback riding or escalating. The waterfall entering hour is from 7:00 am to 2:00 pm during Monday to Saturday and on Sundays at 8:00 am till 2:30 pm. Everyone must go out of the park at 4:30 pm, this is a way to regulate the number of people that enter as well as making sure that there’s still daylight to get out. This enough time to enjoy the waterfalls at it best. Once you’ve paid the entrance, you are ready to start walking the 6 km through the majestic rainforest. Most of the way to the waterfall is beneath trees in the shadow and passing through several paddocks where you’ll be accompanied by some cows, butterflies, and nature’s sound. Each time you get closer the sound of the water falling gets more and more intense, this is a great signal that you are about to arrive. The majestic waterfall will be right in front of your eyes after walking for several minutes. The entire set of waterfalls measures a total of 80mts wide and the first fall you’ll see is one of 20mts tall with staggered falls. The temptation to get into the crystal clear water is a lot and inevitable to refuse! You’ll be there feeling the water spray from the falls and the refreshing climate. If you are lucky you’ll be able to experience several rainbows that form from the water, humidity in the rocks, and the sunshine. Take a break, eat your snack or prepare the picnic in the rocks, swim in the fresh water, enjoy the view… You can also take a quick walk to the biggest waterfall, almost 45 meters high with a free fall in a much smaller pool. It is beautiful to admire the waterfall and swim underneath the waterfall. There are also smaller pools with rock formations that simulate seats in the water and slides to relax and enjoy this experience. The Nauyaca waterfall is one of the most famous in Costa Rica, this is by its natural beauty and the height of the falls. It is said that the water from the waterfalls helps the human body by passing on positive energy, and this one is not the exception. Once you are here, you’ll feel like in a wonderland paradise. If you are near Dominical, this is a great activity for families and large groups. Give it a chance, visit this wonderful waterfall! Grecia is one of the most sought-after ¨pueblos¨ or towns for expats in Costa Rica. It is located in Alajuela where the perfect climate, impressive views, and world-class amenities attract thousands of locals and expats. This farming and mountain town is a true spectacle! The Juan Santa María International Airport (SJO) is located only 35 minutes away, while San Jose is approximately 45 minutes away from Grecia. Also, within less than 1 hour you will be enjoying the translucent warm ocean in the closest beaches of the Pacific Coast. The normal temperature in this town can vary from 82 degrees to the 60’s degrees at night, this chilly climate is due to the elevation of the town. Elevations vary between 3000 – 5000 feet above sea level, providing an impeccable climate all year long. As in most of Costa Rica, it consists of two seasons, 6 months of dry climate and 6 months of rain or green season which keeps the magnificent mountains and views completely green. Don’t be fooled by its size… Despite having only 76.000 inhabitants, Grecia has everything to live comfortably. Each year more expats and locals opt to move to this magnificent town, this is why it’s a quickly growing community. Throughout the streets, you’ll find several big supermarket chains such as Palí and Perimercados. Restaurants for fine dining or typical food are some of the best in the country, but fast-food like McDonald’s is also an option you could get here. There is a shopping mall called Plaza Grecia with plenty of department stores, cinemas and a food court with a great variety of food to choose from. Amenities in the area also include national and international banks. During Friday and Saturday mornings, you will be able to get the freshest vegetables and fruits in the Farmer’s Market. This is an event that attracts people from all over the country. Locals have a space to sell their goods like jams, fresh herbs, homemade cheese, ¨chilitos¨, and more. It is also a good option to have breakfast since some people sell the typical ¨tortillas con queso¨ or tortillas filled with cheese, crepes, freshly baked bread and more. Grecia has everything you are looking for. Real estate in Grecia is highly affordable. Expats tend to choose Grecia for this reason: they can pay less for a living while having quality homes. Big residences have been constructed with amenities like pools, restaurants, parks, multifunctional courts, and more that attracts more and more buyers each time. There are some bed and breakfasts and hotels for tourists that look to spend some time in the beautiful mountains. It’s proximity to the city, the great health care both public and private, the perfect climate and quality homes makes Grecia a top choice for many. Located on the foothills of the ¨Cordillera Central¨ Grecia is a magnificent place to explore. The wonderful views of the Poas Volcano will draw your attention and convince you to drive one hour up to the National Park to see the impressive crater. 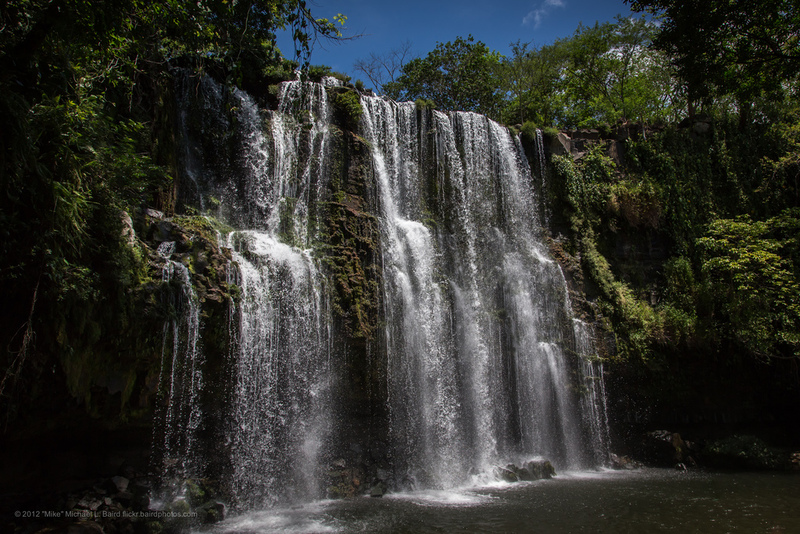 On your way, you can stop on La Paz Waterfalls and refugee to explore some of the flora and fauna in the area. A great one day trip that you can enjoy with the entire family, this is an experience that must not be missed! Nevertheless, local sites in Grecia are very popular and recurrent. Since rivers and streams flow throughout this town, Los Chorros is the main attraction. This is a group of medium and small size waterfalls that create natural pools with clean crystalized water. A great idea for a picnic day! 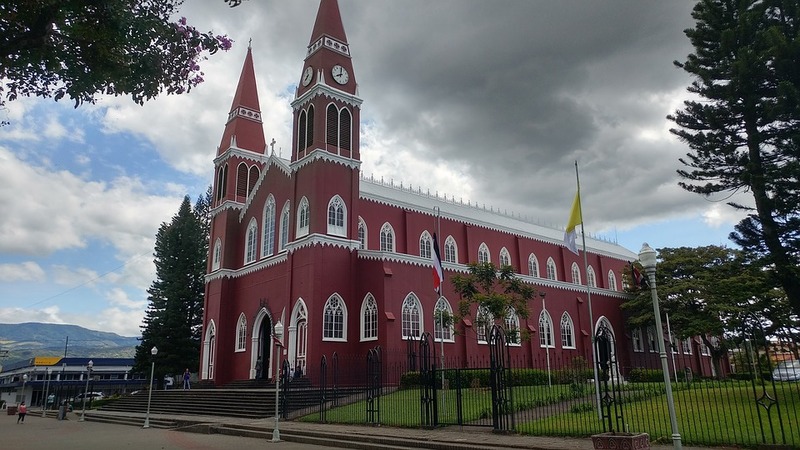 Another important site is the impressive cathedral ¨Catedral de la Mercedes¨. Located in the center of the town, it magnetizes visitors with its red color assimilating a brick construction. It was built during the 1980’s, with gothic architecture and steel imported from Belgium. The contrast between the red color gothic architecture against the green gardens and mountains create a splendid scenery. Grecia is a splendid place to live. The ¨ticos¨ lifestyle can be appreciated in each corner and the magnificent nature characteristic of Costa Rica is present with the mountains, rivers, and waterfalls nearby. The convenient location, the great views, quality homes, low cost of living and the world-class amenities makes Grecia a prime choice to live in!